1. Do I have to pay something to request information about a trip? No. To request information about a trip, you do not have to pay anything, you only need the names, surnames and contact information of the people who are going to travel. The request for information does not commit you to anything or guarantees your places. One of our agents will contact you to confirm the availability of places, clarify the doubts and make, if you are interested, the firm reservation. 2. If I make a firm reservation and finally it turns out that there are no places left, will I have to pay expenses? No. If there are no places in the requested package, we will offer you the best available alternative. 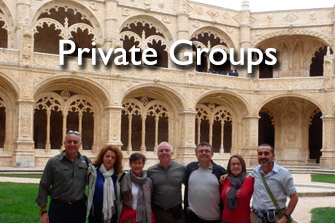 If you are not interested, we will cancel the reservation, without incurring any processing fees. 3. How do I know if there are places available in the offers? Although Viajes por el Mundo periodically updates the offers shown, we must check the availability of seats with airlines, hotels and cruises. To confirm the availability you just have to give the requested information, which does not force you to anything. If there are no seats left we will offer you the best available alternative. 4. How do I know my trip has been confirmed? When you confirm the request for your vacation package you will receive an email. This way you will know that we have confirmed the services. In a maximum period of 24 hours (from Monday to Friday) we will contact you again to inform you about all the details. 5. The flight schedule is not indicated in the offer, but I do not want to confirm until I know these times. How do I do it? When the available schedules are not shown it is because there may be several daily flights and the seats on offer vary continuously on each flight. We will call you to inform you of the available flight schedules available at this time. 6. The price of the children is not indicated in the offer. How can I know? Children usually have discounts on package tours if they share a room with two adults. However, the discount depends on the airline, hotel, dates, etc. Tell us that you travel with children. We will call you as soon as possible to give you the personalized price information. 7. If I travel alone, how can I know the price? All the hotels apply supplements for the individual rooms but in many cases, they are not indicated in the offers so we have to consult them. Tell us that you travel alone. We will call you to give you the personalized price information. 8. How can I pay for the trip? The trips are paid by bank transfer. At the time the reservation is confirmed, Viajes por el Mundo will charge 25% of the total amount of the trip as a reservation deposit. The rest is paid by bank transfer twenty days before departure, in order to have enough time to issue airline tickets and travel documents, and send them to your home. 9. And I can not pay with a credit card? Given the haste of time with which we sometimes have to try to reserve the few available places, we can make the first charge of 25% by charging it to a credit card in order to expedite the confirmation of places. 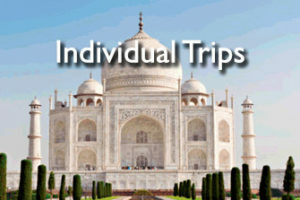 The remaining 75% of the total amount of the trip will be paid exclusively by bank transfer. In case of organized groups, all payments will be made jointly and by bank transfer. 10. How and when will I receive the definitive confirmation of my reservation? After requesting the firm reservation and paying the deposit, we make the reservation with the wholesaler who usually takes between two and three working days to give the confirmation. 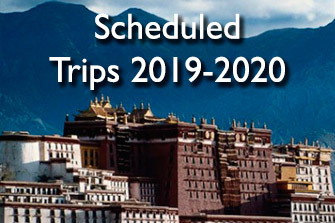 As soon as we have it, we will contact you again to confirm all the services, and to agree on the final payment of the trip and the sending of documentation. 11. When and how will I receive my travel documentation? When you have paid the total amount of the trip we will send you the documentation. In many cases, the only necessary documentation is a voucher that we send you by email, and you must exchange for travel documentation at the wholesale counter at the airport. If we have to send physical documentation, the shipment is made by urgent courier, and is completely FREE as long as it is in the Iberian Peninsula or the Balearic Islands. If it is a shipment to the Canary Islands or abroad, it will cost an additional € 12. 12. Do reservations allow cancellations? At all times the user or consumer can desist from the services requested or contracted, having the right to the return of the amounts paid, whether it is the total price or an advance, but must compensate the agency for various reasons. You can see the compensation expenses in our Conditions of Combination Travel. Except special conditions for issuing airline tickets, there are no penalties for canceling a package trip up to 30 days before departure. After the penalty is 5% of the total if it happens between 15 and 30 days before departure, 15% of the total if it happens between 10 and 15 days before departure. If it is between days 3 and 10 it is 25%. And if it’s 48 hours before, up to 50%. In addition, management expenses may occur, the amount of which will depend on the dates, the destination, the people traveling, etc. 13. Do I have to register to check vacation packages? No. You can browse and browse our website as long as you want without having to register. We will ask for your information in order to make a reservation or contract for any of our services and send you the corresponding documentation. So you know, check prices, think about any place or compare different destinations: you’ll only have to identify yourself at the time of purchase. 14. What do you do with my personal data? During the process of contracting a trip we have to ask you to provide us with certain personal information since without them it would be impossible for us to issue the documentation, tickets, etc. or charge you the amount of the products you buy in our agency. These data are subject to registration and processing in a personal data file located at the headquarters of Viajes por el Mundo, Virgen del Socorro, 13 – 6º right. 03002 Alicante. The data thus recorded is used for the administration of the service and the management of incidents, as well as for statistical and promotional purposes. We fully comply with current legislation (Organic Law 15/1999 of December 13) on personal data and for that reason at any time you can rectify or cancel this data. For this, you just have to write an email to the address info@larutadelascivilizaciones.com. By providing us with these data, you expressly authorize Viajes por el Mundo to assign them to those entities that are necessary in order to provide you with the services and products you have requested. Your consent to the processing and transfer of your personal data will be revocable at any time, a written communication to the above address is sufficient. 15. I live outside of Spain. Can I buy in Travel around the World? Yes, you can buy. But it is important that you bear in mind that Viajes por el Mundo is a Spanish travel agency and that the sending of travel documents to other countries is at the client’s expense. Note also that the vacation packages in the section Individual trips – Superchollos de Última Hora, have their origin in Spain. If you hire them from another country, we will have to readjust the price according to the international flights that you are going to use. 16. I have a question that does not appear in this relationship. If you need us to answer any other question that is not here, you can write to the email address info@larutadelascivilizaciones.com, and we will be happy to answer your questions.